As the end of the school year quickly approaches, I would like to make you aware of a number of opportunities at Perry County Central High School. There will be a number of activities that you will be able to participate in during your time at PCCHS. One of those is the Band program at Perry Central. Over the past several years, the band has seen tremendous growth and success. Last year the band received its first distinguished rating at the District 9 Concert Band Assessment Festival. This was a huge achievement for the band. 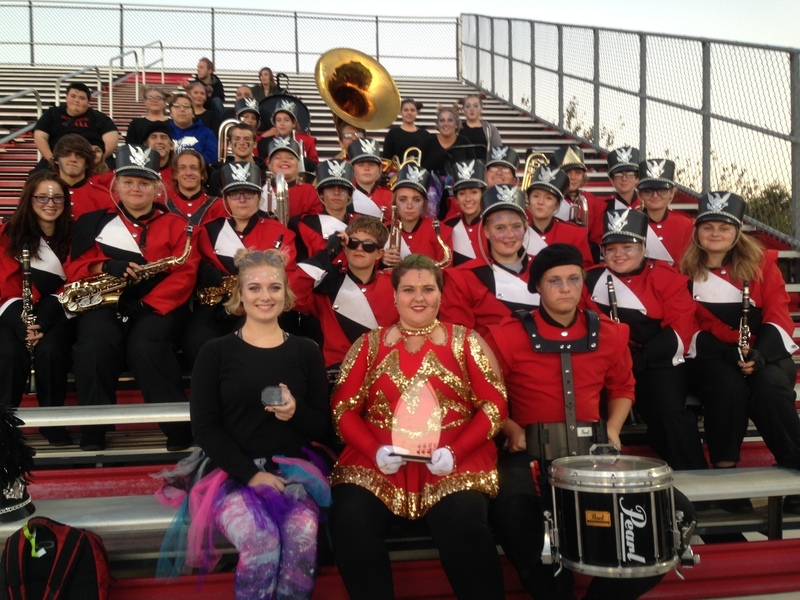 This year, the marching band won a First-Place award for the first time in the history of the program. As impressive as these achievements have been, we believe that this is only the beginning of what is in store for the Band at Perry County Central High School. However, we will only be able to achieve even greater things with the help of each and every one of you. Please consider enrolling in the Band class when you begin signing up for classes for the 2017-2018 school year. Additionally, on Monday, March 13, 2017 at 6:00 p.m. there will be an informational meeting for the 2017 Marching Band season. This will take place in the PCCHS Band Room. The Marching Band is open to all PCCHS students, as well as any 8th grade students in the Perry County School System, and no previous experience is required. If you are unable to attend this meeting I will make every effort to meet with you individually, or we can schedule a second, or even third meeting date if need be. If you need to arrange another time to discuss marching band or any other Band related questions, please feel free to contact me via email at jacob.sturgeon@perry.kyschools.us. In addition to the Band program at PCCHS, you may also be interested in participating in the Choir program. The Choirs at Perry Central have a long-standing history of excellence, and have won numerous awards. We sing a wide variety of music, and perform at numerous locations throughout Perry County. I hope that you will consider enrolling in the Choir class during the 2017-2018 school year. With all of the success that the bands and choirs have had at PCCHS during the previous years, there is one additional piece that we need to keep this going: You. We need each of you to consider joining us for the 2017-2018 school year. Whether you are interested in the band, the choir, or both, it is my hope that you will participate in the many musical activities taking place at PCCHS. If you have any questions please feel free to contact me at jacob.sturgeon@perry.kyschools.us. I hope the end of the school year is full of success for each of you, and I hope to have the opportunity to meet each of you very soon. Hey! I'm in love with your band, and I wish I had some skills to play with you, guys. Maybe you know some good musical teachers? Hit me up http://www.resumeplanets.org/ here. Bye! I love this reminder. It was cool to read it. Post it on https://top5writingservicesreviews.com/review-essaymama-com/ this site if you want.